Dr. Scholl's Socks are specially designed to help relieve tired, achy feet and legs. 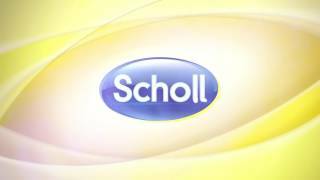 Dr. Scholl's products are available to suit a variety of foot care needs. Shop our line of socks, including diabetic socks, therapeutic socks, compression socks, athletic socks and careers socks. Products are available in sizes for both men and women. Get the comfort and support you deserve with Dr. Scholl’s. Are you a diabetes patient? Do you spend long hours on your feet at work? Do you want to enjoy your favorite activities without stopping to rest your aching feet? If you have said yes to any of these questions, Dr. Scholl's Socks can help. Our diabetic socks have been awarded the American Podiatric Medical Association (APMA) Seal of Acceptance. They are the number one brand chose n by people who want quality and comfort from their foot wear. Our product line includes the most popular sock collections chosen by people who suffer from tired, swollen feet because of diabetes, circulatory issues, or just long work hours. Dr. Scholl's diabetic socks help to improve blood flow, reduce swelling and provide cushioning for the feet, ankles and legs. Specially designed socks bring relief to people with achy feet and legs because of varicose veins, edema, deep vein thrombosis and a variety of circulatory issues. Do other brands make your feet sweat, causing embarrassing odor? Dr. Scholl's moisture management system and unique anti-microbial treatment helps to eliminate embarrassing foot odors and keeps feet dry. Be confident and comfortable at work and social events. Dr. Scholl's brand diabetic socks help protect your feet from odor with a safe anti-microbial protection. They also feature advanced cushioning and arch support to pad feet and toes, non-binding tops to promote circulation, and reinforced heel and toe for quality. Why choose any other brand? Our sock collections feature popular colors and designs. The Dr. Scholl's brand look so much like regular socks, no one can tell you are actually wearing podiatric approved socks. Wear them with dress shoes, work boots, sneakers, or slippers. Dr. Scholl's socks are stylish, comfortable, and great for every day wear. Popular colors include black, white and khaki. We take pride in offering the highest quality products. Our collections are backed by our product guarantee. The Dr. Scholl's brand has been providing men and women with comfortable foot wear since 1906. Our goal is to bring our customers the comfort and quality they deserve at an affordable price. We lead the way in foot care technology, providing comfort to men and women everywhere. Stop sacrificing the comfort and quality you deserve and join the millions of people who already use Dr. Scholl's socks.